Wink, wink. 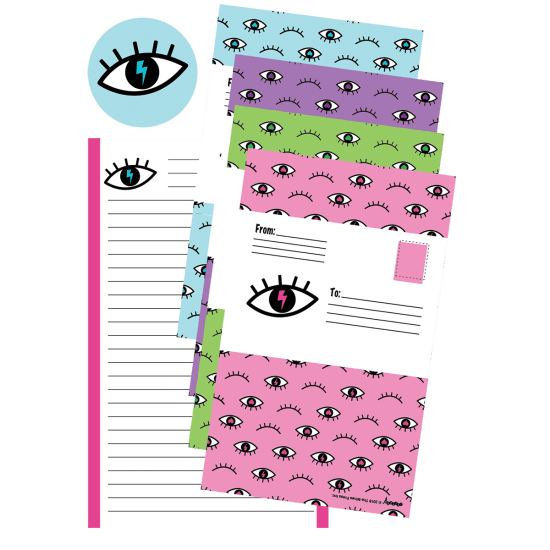 Let them know you're thinking of them with our brightly-colored winking eye foldover cards. This set of 8 self-mailer cards comes in 4 different colors and with animated flip stickers. Great for letters from camp or just a quick note to say hey, these make great gifts.